As the saying goes, without knowledge of the past there is no future. Same is the case with today's society. Ladakh lacks good English scholars and writers. No doubt, we have scholars who write in vernacular language but lacks good English books that are written by local people. Any society which leaves a mark in history is through books. Today Ladakh is connected to the world and everybody wants to know about the unique culture and heritage of Ladakh. But unfortunately we lack good books on Ladakh by local people. Yes, we do have great scholars in Bhoti and Urdu, but due to language gap many of us cannot take any benefit from them. The Bhoti language is slowly being confined to the older generation alone, as we do not have proper facilities to teach Bhoti after school education. Now the question arises: Without writers and with no history of its own, what sort of society ours would be, in the future? History means so many things: the material culture of the past; insight into lost communities; charting the rise and fall of civilisations. History also provides us with a collective memory; it gives us a sense of connection to place, time and community. There aren’t many young writers who express interest either in writing or reading. What we need are English writers with regional flavour in their work. We need to develop a reading culture which, very sadly, we are lacking. There are, of course, books but they are mostly foreign writers. 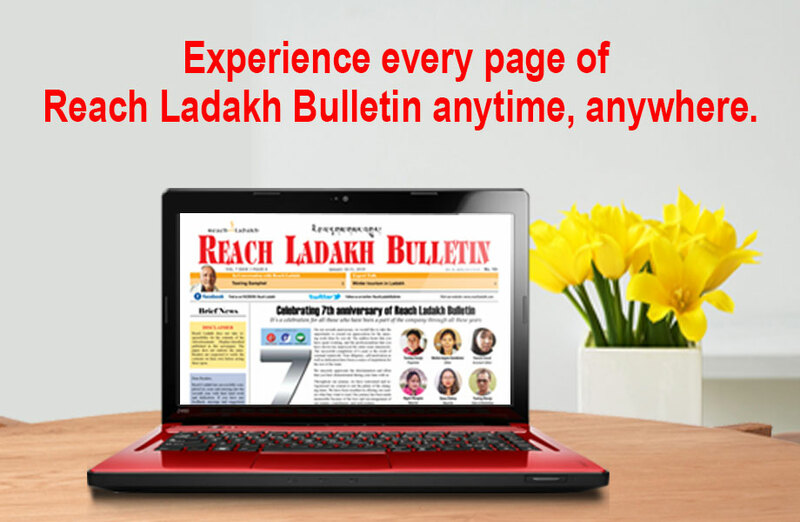 Lack of relevant literature on Ladakh is a big challenge. It is sad to realise that there are so many writers locally but have never had a chance to publish their books for either lack of funds, platform or publishing firms to take up their work. There is so much potential in the region, they just need a push in the right direction. What is needed is to give recognition to the local writers and guide them in promoting their books. Writers discover that it is a challenge to publish books and get people buy them as there is a serious lack of reading culture in the region. So, we need to come out with ideas to promote the culture of reading and writing books. We need to produce books that are written by local writers in various languages. Over the decades, foreign scholars have explored history, culture, language and other aspects of Ladakh. It is time local scholars looked into our culture and history not through the lens of an outsider, but through our own. To put it briefly, if we have local writers they will carry authenticity. Through books what seems utterly foreign and unfamiliar becomes recognizable and profoundly thought-provoking. Today Ladakh thirsts for good literature and writers.